Nutritional status has been discovered to be instrumental in one’s prompt recovery from illness. Evidence continues to mount for the involvement of a proper diet and nutritional status in the management of most metabolic disorders. We were the first to introduce the Clinical Nutrition Service which is available to all patients of Ramiro Community Hospital. Be it through out-patient diet counseling to in-patient calorie counting & critical nutrition prescriptions, our trained clinical nutritionists are on hand to assist you. Along with its skilled medical technologists and certified pathologists, the laboratory will occupy and entire floor in the new LZR Pavilion. 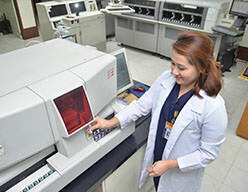 The Laboratory Service works hand in hand with key departments in the hospital to deliver quality healthcare. 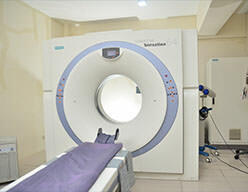 The Radiology Department operates the imaging service with highly-qualified radiologists and radiologic technicians. The service will soon be integrated into the Primary Care Center to enable convenient diagnostic procedure for all patients.